I'm a big fan of a good pun. If you've been around here for a while, I'm sure you've noticed. Last weekend, we were at a wedding with a candy bar. So of course, while my parents were slowly saying their goodbyes, I went over to check it out. 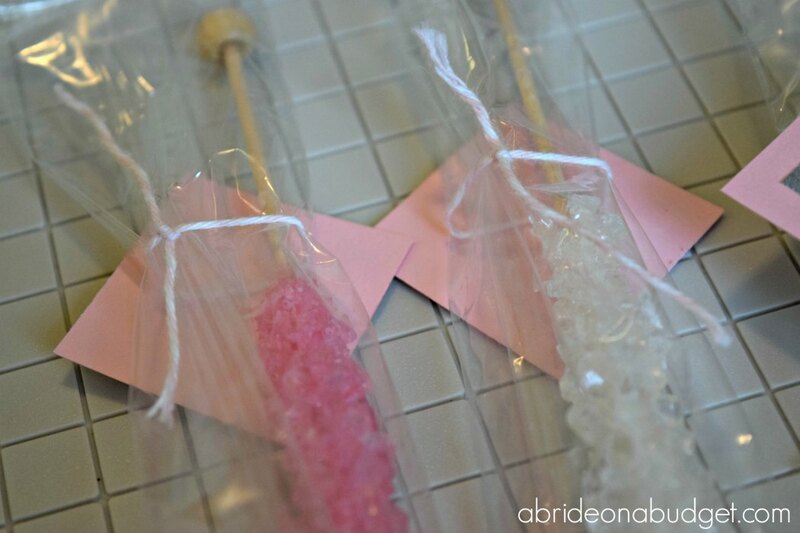 There was rock candy, so I grabbed one for each of us. And, as soon as I grabbed it, a pun popped into my head. 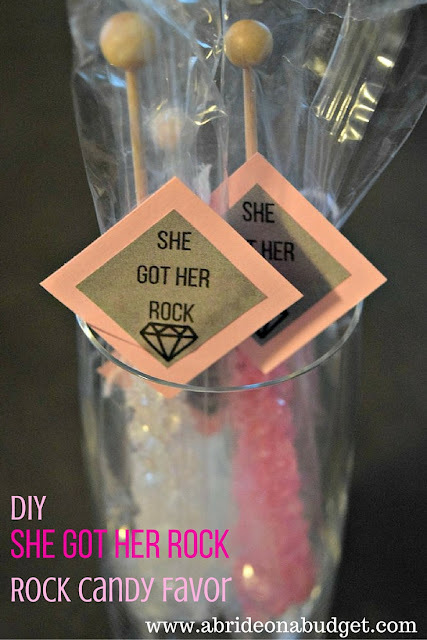 So, sorry to my mom and dad, but no rock candy for them. I needed it as a prop for this post. Their loss is your gain. Using a paper trimmer, cut the free printable into diamonds. They end up being 1-inch squares. 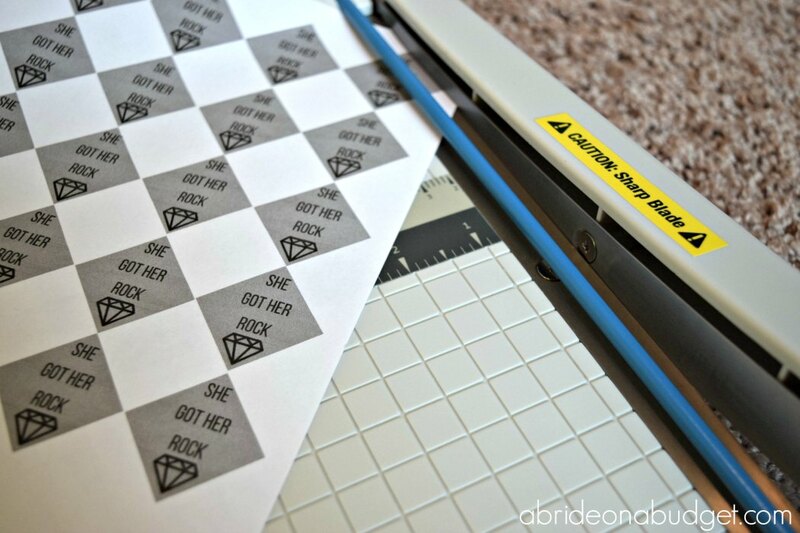 Use the paper trimmer again, this time to cut the card stock into diamonds. You'll want them to be 1.5-inch squares so that they can fit nicely behind the printable. 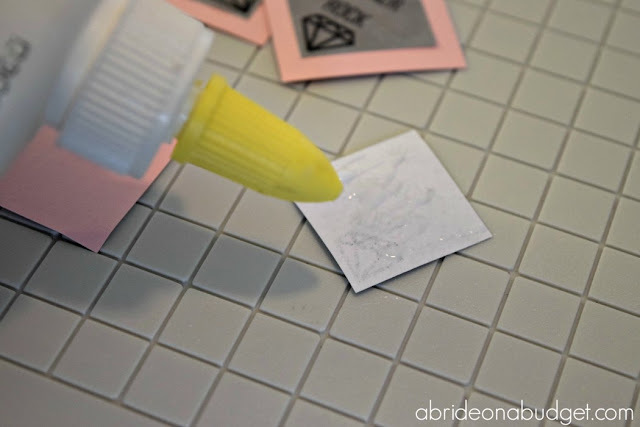 Glue the printable onto the colored piece of card stock. Allow it to dry. 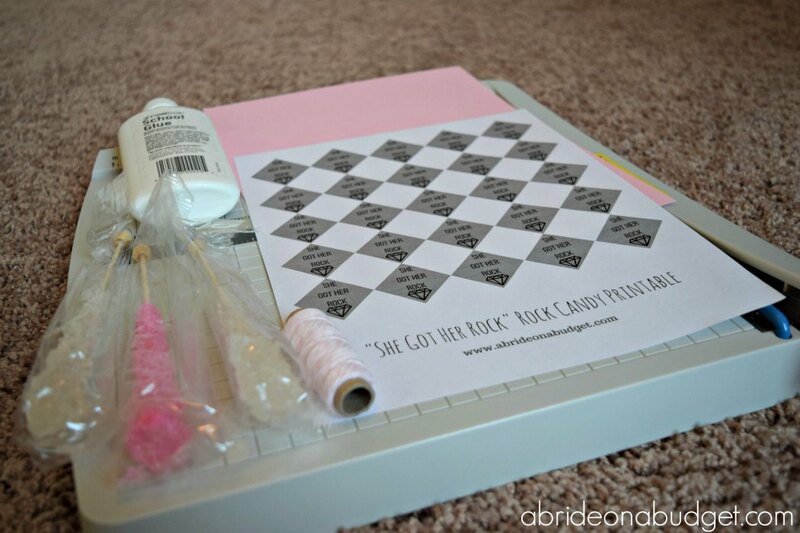 Cut a piece of bakers twine and glue it to the back of the card stock. If you're unsure about the glue, you could always tape it down. Tie it around the rock candy. That's it. 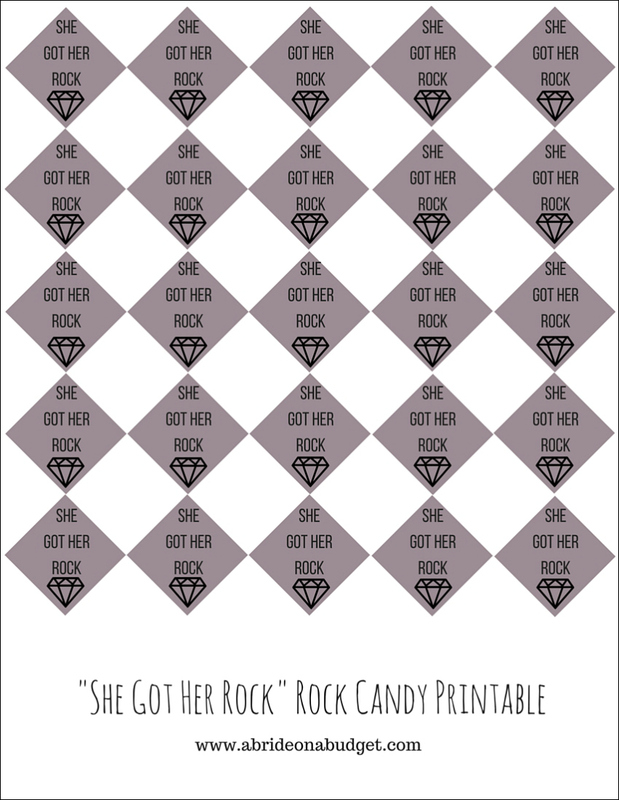 You can display these or put one at each person's seat at a bridal shower or engagement party. They're super cute and tasty too. It is formatted to fit an 8.5x11 sheet of paper, so you're able to print this at home. All you need to do is save it to your computer and print it out when you need it. 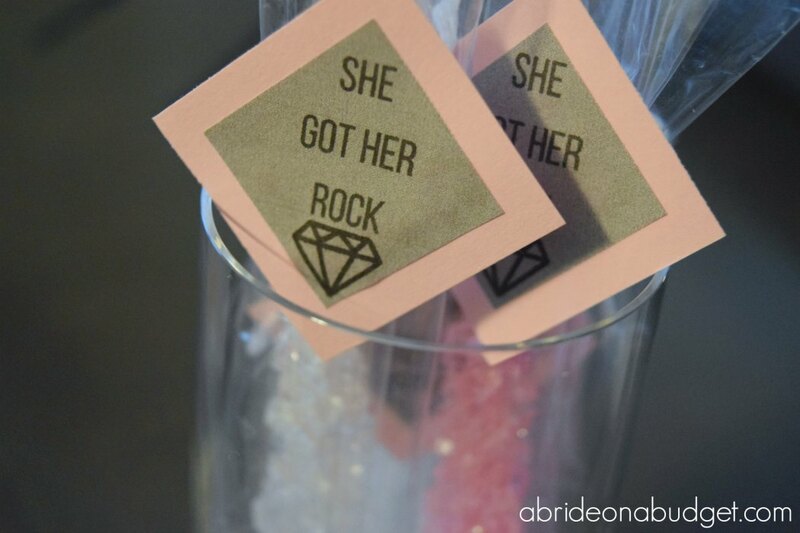 BRIDAL BABBLE: Would you make this rock candy favor for an engagement party or a bridal shower? Did YOU get your rock? 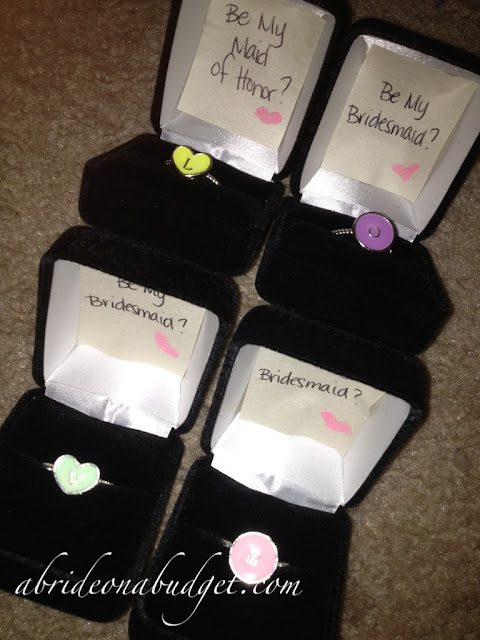 DIY: Will You Be My Bridesmaid? Rings. Where's the pdr link to download? Nicole, it's not a PDF. It's an image. Just right click the image and save it to your desktop. Hi Lisa! 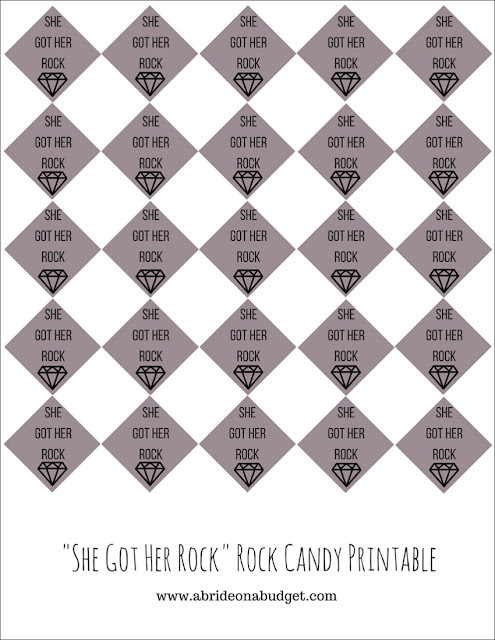 Is there anyway you can send the vector format of this print out? when i download and print it, the letters come out a little blurry. Hey Lauren. I don't have it in a vector form. The program I make it in allows JPG or PNG saving only. It didn't print blurry for me, so I'm a little confused why yours was. I can, however, PDF a version of the PNG image and email it to you and you can see if that works better for you. Send me an email at abrideabudget@gmail.com and I'll shoot that over. Can you please send a PDF to me as well? Mine was a little blurry too. Ashley.acaster@yahoo.com thank you ! Could you email it to me too? It came out really blurry. could you email me the PDF also? Sent it to you Stevie! Hi, Lisa! Could you please email this to me as well. I love it! Thanks! Can you please email me the template as well. Adorable! Coukd you please email me also? Thank you!